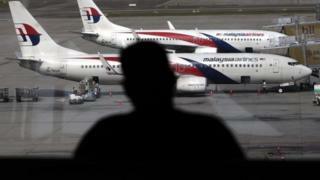 Malaysia Airlines is "technically bankrupt", its chief executive has said, as he announced a restructuring programme and plans to cut about 6,000 jobs. The airline said it had "offered jobs" to 14,000 of its 20,000 workforce. "We are technically bankrupt," Mr Mueller told a news conference. "The decline of performance started long before the tragic events of 2014." Mr Mueller was making his first public appearance as chief executive since being hired by the carrier's owner, Malaysian state fund Khazanah, to lead the restructuring. He has previously had senior roles at Ireland's Aer Lingus, Belgium's Sabena and Germany's Lufthansa airlines. Famed for slashing jobs at the airlines, he has earned the nickname "the Terminator". He also stated that the airline was "technically bankrupt". Mohshin Aziz, an aviation analyst at Maybank, told the BBC that no management official "had the balls to admit that" in the past. But Mr Mueller doesn't have much time to revive Malaysia's national icon. British Airways, for example, recently restarted flights from London to Kuala Lumpur, which is Malaysia Airline's flagship route. "We will embark on a second round in two weeks' time and that will allow others to accept our offers and that may change the numbers," he added. Video Why did Malaysia Airlines flight 370 disappear?